An object which changes its position with respect to time is in motion. This concept is the basic for three important NEET topics namely, Motion in Straight Line, Motion in Plane and Laws of Motion. Motion is classified as mainly three types, linear motion or motion in straight line, motion in plane or 2 dimensional motion and circular motion. Linear Motion is measured in scalars whereas motion in plane is measures using vectors. 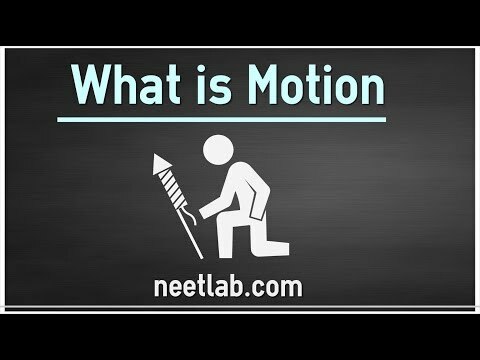 In this video, we are going to understand what is motion. Understanding Motion is the base for learning the Physics. In-fact the beginning of science started with the attempt to understand the motion of objects in the world. Poor understanding of this concept will lead of poor understanding of most of the other concepts in Physics. Please watch this video till the end. There is a bonus tip on how to improve your level of understanding of any concept not just motion in this video. When I was doing my schooling, I asked my Science teacher what is motion? He told me that when you see any object, if it appears to move, then that object is said to be in motion. I understood what he told and was happy that I understood that concept until I started thinking about it when I had nothing else to do during my travel to the nearby town. I was travelling by train. When the train reached the next station, there was another train in the next track for crossing. My dad was out to get something for me to eat. I was watching through the window and I saw that the train started moving, I was really afraid because I was all alone in the train. I got up and went to the other side of the train and observed that my train was in fact, not moving. The other train was moving and my train is at complete rest. This event, made me think that my understanding about motion was wrong. What I see as rest may not be in complete rest and what i think to be in motion may be at rest. Let me explain you with another example, When we sleep we are at rest, but the blood moves around inside our body. Our house is at rest but the electrons inside the atom of each material used to build the house are in motion. Why I am saying this is to emphasise the importance of understanding and the importance of thinking after learning any concept. After you read anything for 1 hour, try to think about what you have learned for at-least 10 minutes. This is one of the success formula for my 400 rank in GATE examination. If you follow this, you will crack any competitive examination. Now, lets get back on the topic we were discussing, the motion. From the time we wake up in the morning till we go to bed, our body changes its position. 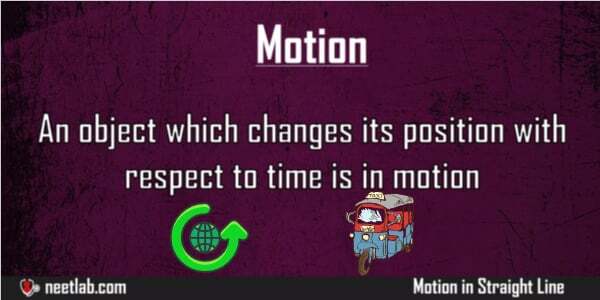 This change is position is called as motion. When we are sleeping we are said to be taking rest because our body does not change its position. The first thing you need to know about anybody is that whether it is at rest or in motion. After we wake up, we will be in motion all throughout the day till we come back home for rest. When, We wake up from the bed, the first thing we see is our clock. The clock’s minute hand rotates the clock again and again after 60 seconds. The clock is said to be in periodic motion because it completes its motion within a specific duration of time and repeats its motion again and again. Some of us have still have those old clocks, wherein which the pendulum oscillates. The pendulum is said to be in angular motion because the motion of body is around the fixed point. We get up from the bed and the next thing we do is to switch of the fan, hey the fan was in circular motion until we turned the switch off. We finish up morning duties and then go to school in our bicycle. We as well as the bicycle is said to be in linear motion when we move from house to school. When anything moves in straight line or one dimension, it is called as linear motion. When we pedal the bicycle, the wheel rotates, so we say that the bicycle wheel is in circular motion. After we reach the school, we Sit in the class during the lecture. Then we come back from school and play top with our friends. Here, the top is said to be in rotational motion because it rotates itself. Like this, we are seeing various kinds of motion all around us in our day to day life. There are various kinds of motion, but in essence motion is nothing but change of position of anything. Motion is classified as mainly three types, the first type is linear motion or motion in one dimension. One dimension is straight line. Example of linear motion is bike, bus, train,etc. Note that I have not said aeroplane here. I excluded it for a reason. You will understand it why when i discuss about the next type of motion. The second type of motion is called as planar motion where there are two dimensions. The dimensions are length and height. Example of two dimensional motion is playing angry birds. Both distance as well as height is important to hit the target perfectly. The third type of motion is called as circular motion where object rotates around a fixed axis. Example for this kind of motion is movement of the bicycle wheel. If you are not able to understand, please let me know by commenting below. If you have any doubts in this concept. Please put your doubts in the comments below.